The New York Islanders are sitting in seventh position in the National Hockey League and it can only calm the fears of Isles fans who stress about the future of captain John Tavares with the team. NHL insider Bob McKenzie jumped on a morning segment on Montreal’s TSN 690 on Wednesday, and explained the situation as it sits now between the Islanders management and the superstar forward. “I get this question pretty much every week somewhere," said McKenzie. “It can’t help but be a positive. I don’t think there’s any question about that because I mean if the Islanders were dead-last and the moves they made in the off-season didn’t pay off, and Matthew Barzal wasn’t there, and Jordan Eberle wasn’t there, and the team wasn’t winning like it’s been winning, and Josh Bailey wasn’t playing as well as he is – all of these things might contribute to John Tavares looking at the situation and saying, ‘Hmm. I think this organization is trending in the wrong direction.’ But right now it seems to be trending in the right direction. “It’s not the only issue on the table, obviously. The well-documented future of the team in terms of the rink it’s going to play out of, the area – so they’re in Brooklyn now, but not for the long haul. Belmont may well be the landing spot, but we still don’t have a final ruling on that from the political bodies in that area. So there’s a little work that needs to be done on that front. 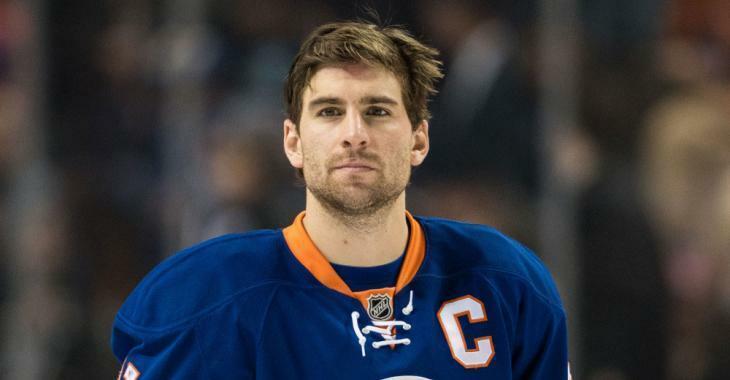 “But as I’ve said before, if you talk to a player on the New York Islanders, they don’t seem at all worried at the prospect of John Tavares leaving. Now whether that’s blind faith or whether they get a vibe that we don’t get…"
According to McKenzie, Tavares might simply be curious and want more information like the arena situation and a longer sample size than 20-odd games to make sure that the Islanders are trending in the right direction for a long time. “And if all of those pieces are in place, I don’t think it’s difficult to do a contract. I think they basically say, ‘Here you go. Eight years and pick some double-digit number between $10-12 million,’ and away we go. It’s not rocket science on that front. It’s just a matter of John Tavares being fully comfortable."